Hard cider is back and in a big way, and it's only getting more popular. Thanks in part to the rise of craft beer and a renewed enthusiasm for different beverages; hard cider is appearing on more restaurant menus and behind the shelves of more bars than it ever has before. This is even more impressive when you consider cider's lofty perch in American history. Hard cider dates back to colonial times, at which point it was more popular than both beer and whiskey. In fact, former President John Adams drank a glass of cider with breakfast each morning to soothe his stomach. While it may or may not have worked, cider is as American as apple pie. Hard cider is a fermented alcoholic beverage made from unfiltered apple juice. The amount of fresh apple juice required varies by region, with the USA requiring at least half of the beverage to be made from fresh apple juice in order for it to qualify as cider. Like craft beer, it can be produced locally, and has an increasing amount of variations. It's been around for centuries – so why is it getting more popular now? As craft beer became more popular, consumers became more refined. They wanted not just any drink, but the perfect drink – which lead to them being more willing to take risks. In essence, hard cider managed to piggyback off the growing amount of craft brew enthusiasts. This newfound enthusiasm caused a resurgence of cider and an explosion in the amount of cider produced on a national level. From 2011 to 2013, production tripled, going from nearly 10 million gallons produced per year to a whopping 32 million gallons. Over the past decade, consumption has increased over 50% – and recent signs point to consumption increasing even more over the next few years. 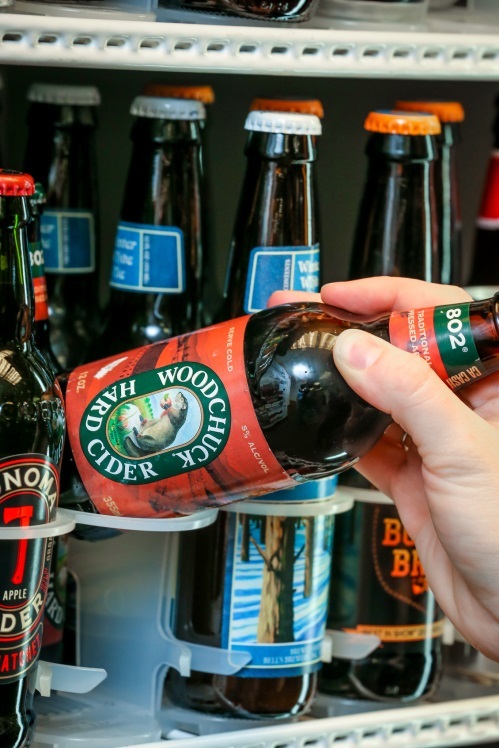 Beverage producers such as Angry Orchard, Smith and Forge, and Woodchuck Hard Cider are amongst the most popular of the hundreds of cider producers today. But with the sheer amount of beverage options out there, what's making people order hard cider with their supper? The sweetness of hard cider can be enjoyed straight away, mixed with your favorite craft or import beer, or paired with almost any meal. But don't let the traditional sweetness of cider fool you – more varieties are being produced than ever before, including drier, more serious varieties. Some producers have added flavors such as cinnamon, raspberry, chocolate, and even hops! Much like beer and wine, brewers have created a hard cider for virtually any palette. The influence of the craft beer market is partially responsible – your customers are used to having a variety of choices. In fact, despite being made from similar ingredients, two different brands of hard ciders can taste just as different as two different brands of beer. While hard cider does not have nearly the same market share that beer does, more restaurants and bars are stocking up on options – and selling out. Due to the wide variations, you can offer both sweet and dry ciders, as well as both inexpensive and premium brands. This gives everyone an option that they'll enjoy drinking. While few people are going to order hard cider under the guise of soothing their stomach, the increased demand means competitive restaurants and bars are adding it to the menu at an incredible rate. When your customers are sitting at the table with a thick cut of steak in front of them, few drinks will go down better than the perfect hard cider. Bernick’s has a wide variety of ciders to please every preference and palate. Click here to view our options, or speak with a Bernick’s Rep today.